The Craft.ed Studio, located in Concord, Massachusetts, is a new boutique DIY craft studio that offers hands-on classes for a variety of craft workshops for adults and kids. Customers join instructor-led workshops where they create custom craft projects and more! 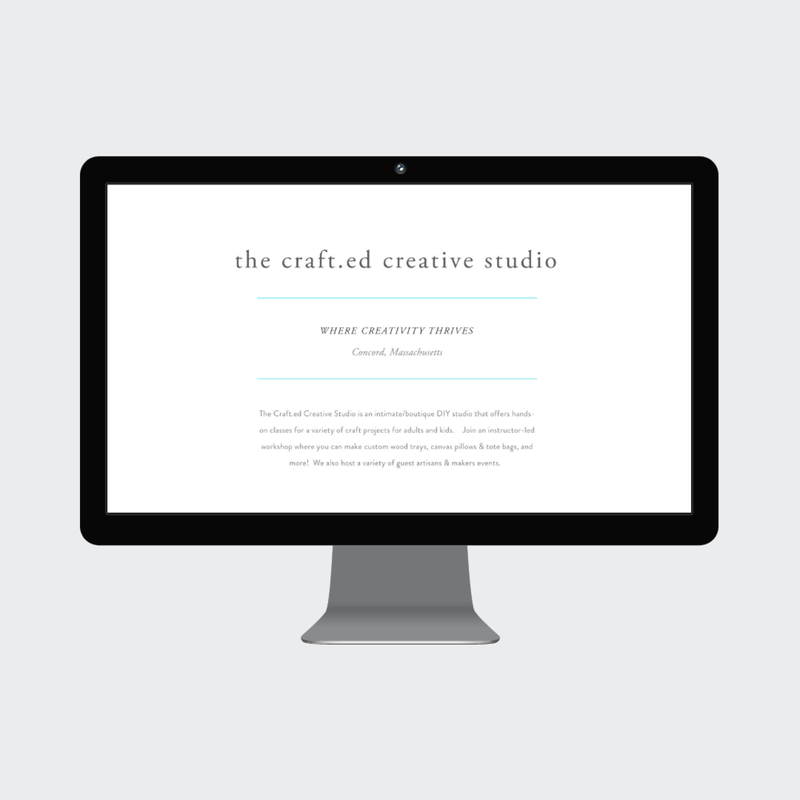 The Craft.ed Studio needed a website that had the capability of booking their spots to their workshops. 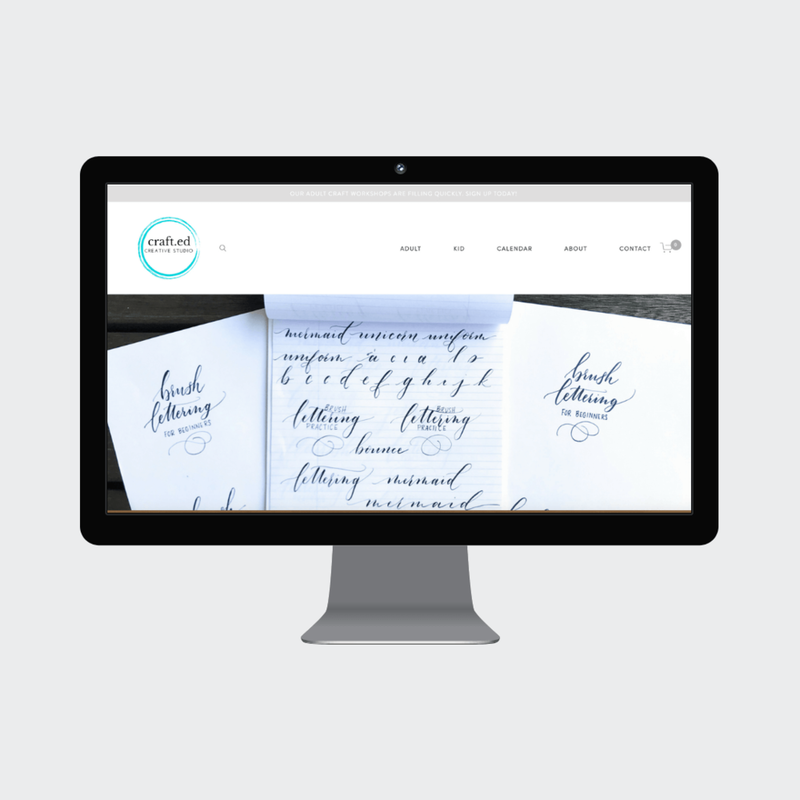 The Craft.ed Studio looked to Squarespace for a user-friendly and mobile responsive website platform for her new business. 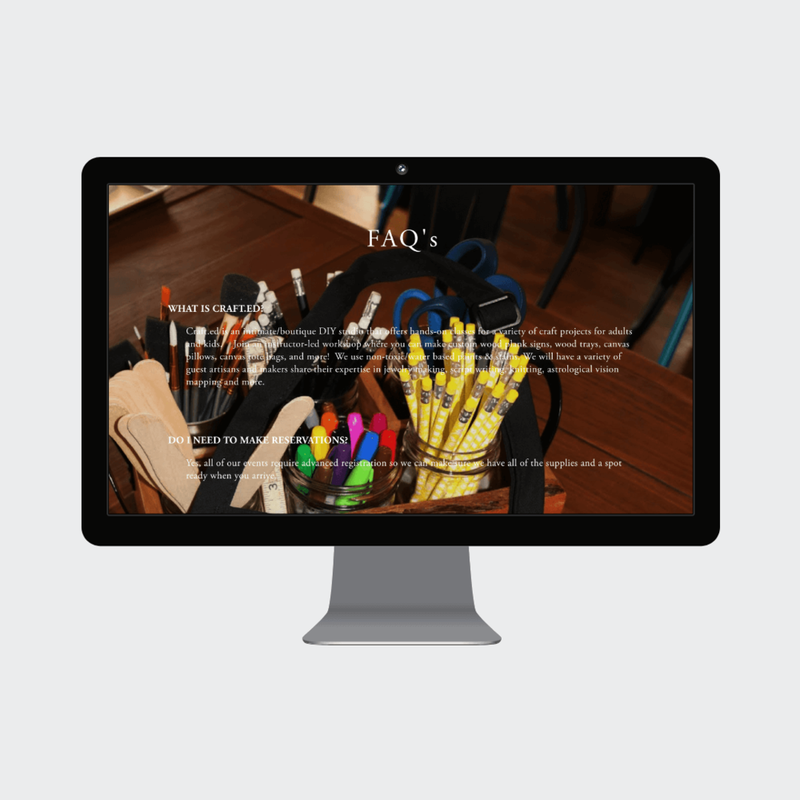 After assessing the needs and goals of the site, Beth worked directly with Sue at The Craft.ed Studio to lay out the site and the details of each workshop that would be included in the site’s launch. 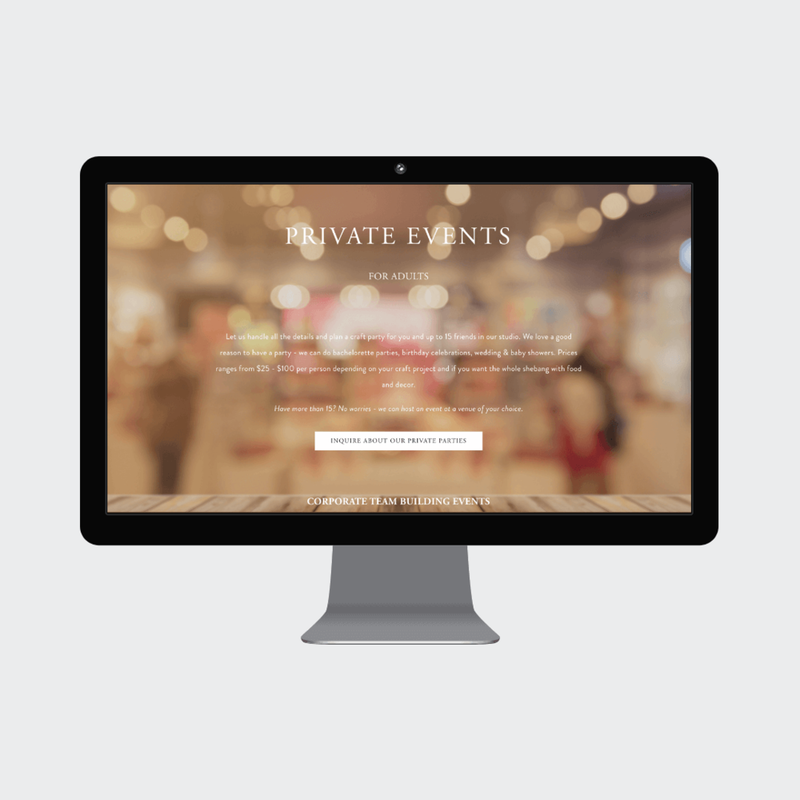 The schedule of each workshop was integrated in the calendar layout on Squarespace so the visitor can easily visualize upcoming events. Each product workshop is tagged and categorized based on designated categories so the products are displayed as adult or kid craft events. 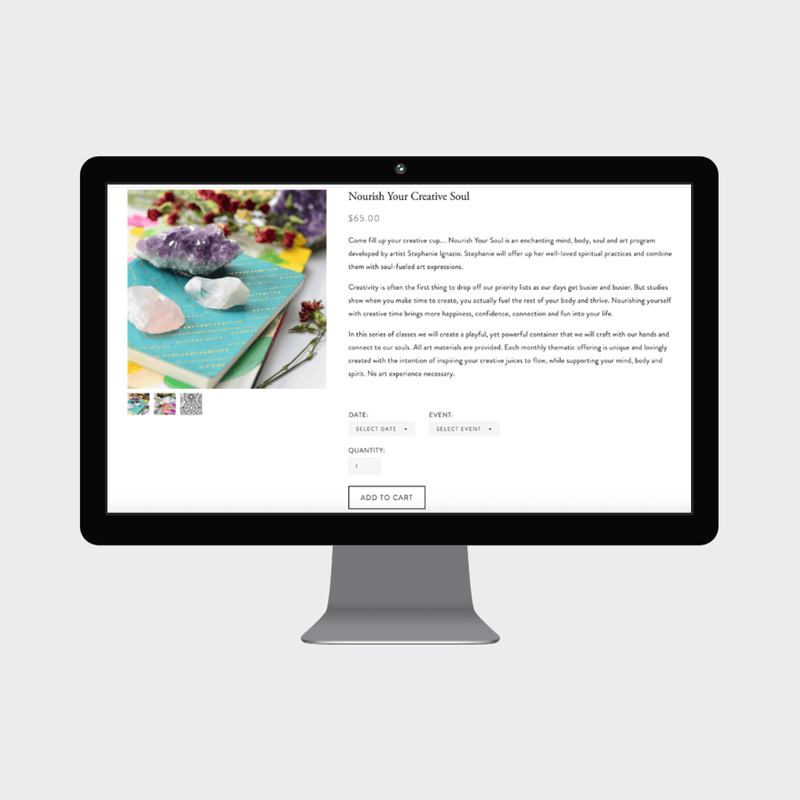 Moving forward The Craft.ed Studio can easily duplicate the workshop and add workshops to the online shop as needed. 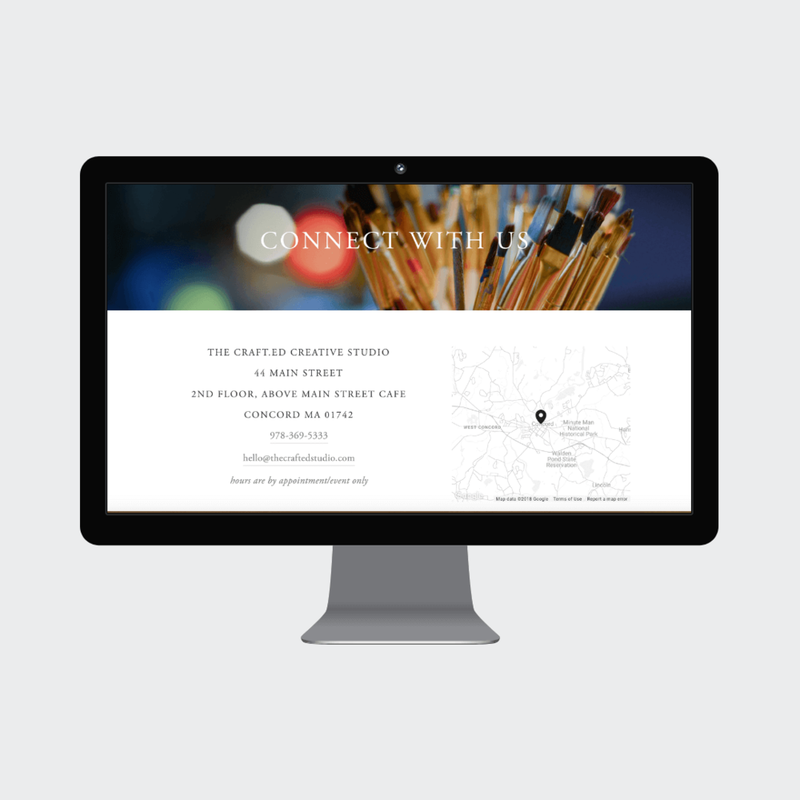 The Craft.ed Studio is well positioned for growth as their site empowers them, gives ownership and the ability to continue to grow as their business expands.